Melasma patch on the forehead. Do you suffer from patchy pigmentation on your cheeks or forehead? Have you tried many whitening products, lasers and even chemical peels without significant improvement? If you do, you may benefit from a new treatment which has been shown to help with your pigmentation problem. Melasma is a fairly common skin condition affecting mostly ladies in their 30s and 40s. It is also prevalent amongst pregnant women. 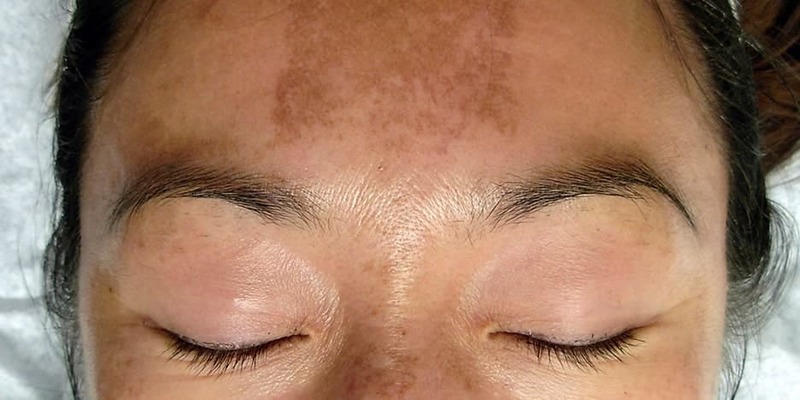 Melasma appear as patchy brown pigmentation on the cheeks, forehead and nose bridge. These patches of brown pigmentation adds a “dirty” look to an otherwise well-kept complexion and can affect the self-esteem of its sufferers. What’s more, over-the-counter whitening products used to lighten pigmentation show limited results on Melasma, and even topical medications and medical laser treatments can sometimes produce marginal improvements. Melasma is also challenging to treat as it tends to recur with time and sun exposure. Fortunately, researchers at Singapore’s National Skin Centre found that the oral medical Tranxenamic Acid, commonly used in treating heavy menstrual periods, show significant lightening of Melasma in over 90 per cent of patients it studied. Side effects are minimal with the medication it is generally suitable for those in good health. Contraindications include those with a personal/family history of blood disorders, pregnant women, and ladies on oral contraceptive pills. Do you suffer from patchy pigmentation and want to know if you’ll benefit from this treatment? Speak to any of our doctors at SL Aesthetic Clinic and we’ll be happy to give you professional advice on the best treatments available. Having graduated from a leading medical school in the Asia-Pacific region – the Yong Loo Lin School of Medicine – Dr Gabriel Wong worked in several hospitals in Singapore where he honed his medical acumen. 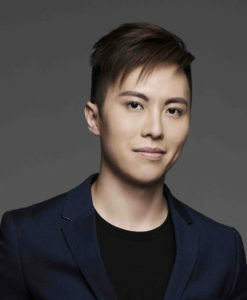 Fate was at work when he met Dr Kelvin Chua, which sparked his interest in aesthetic medicine. Growing from strength to strength under the tutelage of Dr Chua, Gabriel developed an eye for detail and beauty – perfectly in tune with aesthetic medicine, a confluence of art and science. Despite his young age, Gabriel has garnered a loyal following due to his unique gift, which he applies in a range of non-invasive procedures such as Botox treatments, soft tissue augmentation (Dermal Fillers with the latest virtually painless Cannula Method), skin rejuvenation with lasers, and effective acne and acne scar treatments (Fractional CO2 Laser, subcision). In his free time, Gabriel loves to travel the in search of that perfect snapshot. His works of art have won praises by many patients. To contact Dr Gabriel Wong, write to gabriel@slclinic.com.sg.